Thank you Masolino for the recommendation! Lilas, could you mention some performers/recordings for those? I am no judge in French pronunciation myself (my French is awful as awful can be) but William Christie obviously thought both singers up to their task. Christie himself speaks the language almost like a native, as his successful career as an operatic conductor in France suggests; the French are notoriously intolerant of people who dare to "disgrace" their language with any degree of mangling. I am not Lilas, but I do want to recommend Minkowski's recording of Charpentier Te Deum (Archiv): he drives the music to such heights all other versions (eg. William Christie's) seem underpowered in comparison. Another famous treat from Charpentier is his Leçons de Ténèbres: I have several incomplete collections of these and the most enduring (to my listening) of all is the Opus 111 selection disc conducted by Martin Gester (OPS55-9119). The names of Veronique Gens and Noemi Rime should raise some expectations and those are amply fulfilled in my case. What ravishingly beautiful singing! My French is absolutely awful too! I am not Lilas, but I do want to recommend Minkowski's recording of Charpentier Te Deum (Archiv): he drives the music to such heights all other versions (eg. William Christie's) seem underpowered in comparison. Have it and totally agree - Minkowksi's Te Deum swings. Another famous treat from Charpentier is his Leçons de Ténèbres: I have several incomplete collections of these and the most enduring (to my listening) of all is the Opus 111 selection disc conducted by Martin Gester (10-003). The names of Veronique Gens and Noemi Rime should raise some expectations and those are amply fulfilled in my case. What ravishingly beautiful singing! Thanks, it's now on the list. I saw this Boismortier in a bargain - do I need it?? If you don't have any Boismortier then why not? It is positively beautiful if the not most inspired music that I have heard from this period. 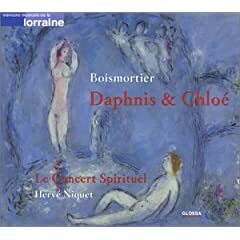 Niquet also made a couple of Boismortier recordings for Naxos - I am happy to report that none is a dud. This one is quite a bit longer with both dessus voices coming into play but no recorders until towards the end! Indeed the Minkowski Te Deum really swings! This is a relatively new approach to that familiar music, though. It's been in the recorded repertoire for decades and a grander, statelier approach was the norm until Minkowski broke the mold. It's a work of stature and it thrives on many interpretive approaches. 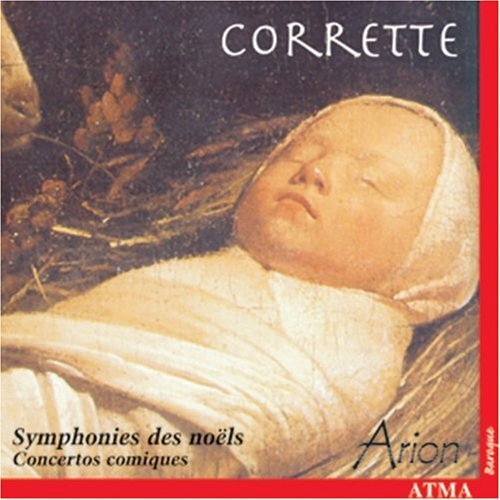 Anyhow, for the purpose of this thread, which I see as an introduction to one of the major byways of classical music, Corrette is just ideal. Note also that he lived to a ripe old age, and his production covers late Baroque and early Classical (roughly 1730-1790). This link http://www.arkivmusic.com/classical/Namedrill?&name_id=2487&name_role=1 provides many sub links to individual discs. Apart from the Concertos comiques, his superb set of bass instrument sonatas (viol, gamba, bassoon, cello, solo, in pair or in trio) called Les Délices de la solitude presents a more serious, melancholy aspect that is a faithful reflection of a major current within the French baroque (also exemplified by the works of Marin Marais or his mentor Le Sieur de Sainte-Colombe. The superb Corneau film Tous les matins du monde with Depardieu père et fils portrays their life and deep love of music). Corrette also used his talents to bring the French Noels tradition to larger audiences. Many composers wrote Noels for the organ, where were traditionally played in church on the organ (Nicolas de Grigny is the outstanding example). Corrette adapted them for instruments and stringed them in delightful suites. Those allergic to the pipe instrument can still sample the genre here. Corrette's most famous Concerto comique completes the disc. 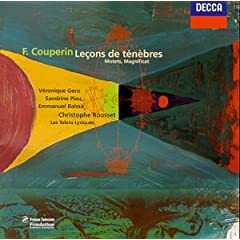 I just realised that we have no thread to discuss recordings of, for instance, F. Couperin's Leçons de Ténèbres! So, this new thread on all recordings of the music of French baroque composers. 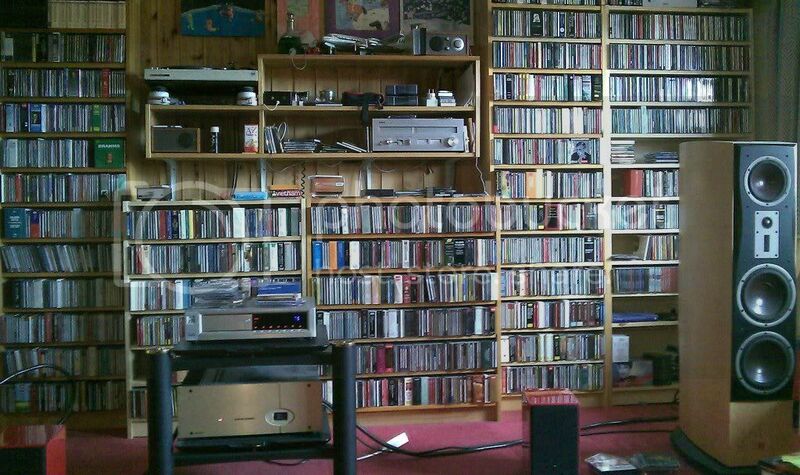 Please post your favourite recordings, queries, discussions, etc! Sorry to be so late to the discussion! For the Leçons, I love Rousset's recording with Sandrine Piau and Veronique Gens. 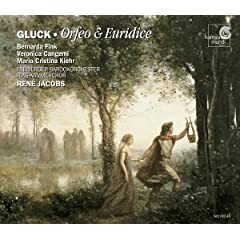 Alas, I've not enough experience with the baroque operas to start posting intelligently although I did pick up René Jacob's recording of Gluck's Orfeo et Eurydice, which was excellent to my ears. I am looking forward to a lot of listening and new experiences. It's a bit like Goebel's early recording of Couperin Les nations: French or not, it is intensely satisfying as a musical performance. EDIT. To Joan's reference above, I have not seen the film, although "over the top" seems to be quite consistent with what I have heard about it. However I consider even Tous les matins du monde a bit over-the-top. How do you say "your mileage may vary" in French? 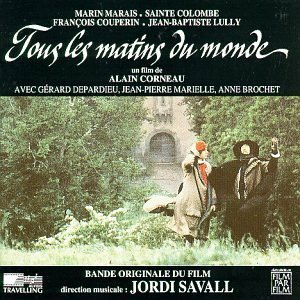 If we are doing soundtracks, then you have to consider Tous les Matins du Monde. 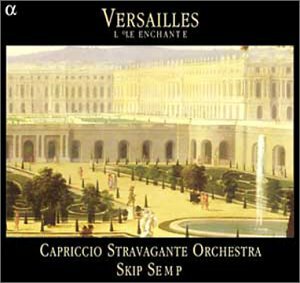 And while we are visiting Versailles, we may as well listen to Skip Sempé's excellent recording "Versailles - L'Île Enchantée," and Marc Minkowski's Symphonie Imaginaire. After years of studying history, literature, and art, I had to admit that I really didn't get what the French Baroque was all about until I saw Rosellini's film, La Prise de Pouvoir par Louis XIV. It's a great film, and something that I would recommend to anyone interested in this period. Thanks for the suggestion - the Rosselini film seems interesting and I will check it out when it is re-released for DVD! Can anyone comment on the issue ictured below with Goebel? Not a French ensemble but the samples sound good and idiomatic. Looks like interesting programming too. Comes with a bonus CD with Bach, Händel, Vivaldi and Heinichen! I have that also, and enjoy it very much. If it's of any help, it received the 10/10 from ClassicsToday (and not Hurwitz). Can anyone comment on the issue pictured below with Goebel? Not a French ensemble but the samples sound good and idiomatic. Looks like interesting programming too. 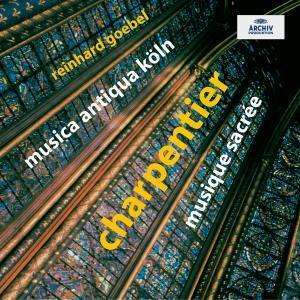 of a suite by Couperin or Marais or Rebel. In this aspect, it's quite like the "Roi danse"
When I was a young child, a beautiful 78 rpm record (it was a translucent dark red color) was sent to my father by a drug company. On one side was a dull (to me, anyway) lecture on a new drug for treating gall stones or some stomach problem; the other side had Marin Marais' "Le tableau de l'operation de la taille" in English. I suppose that was the first work of the French Baroque that I ever listened to. And I listened to it over and over and over. I was fascinated by the language "they have bound him with silken ties," "Rejoice - the patient liveth!" etc. as much as by the music which I'm sure was the opposite of HIP. A few years ago, I awoke abruptly on a Sunday morning to hear that same voice saying those same words. My radio alarm had gone on and Peter Schikele's program was playing on NPR. I wrote to Schikele about getting a copy of the piece, but never received any response. Does anyone at all know of an English recording of this work? I know it won't be the same one, but I would love to get this. I've been doing some internet searching since remembering about this recording, and have found out a little about it's history. First, it was an early HIP recording! No wonder I was so fascinated. 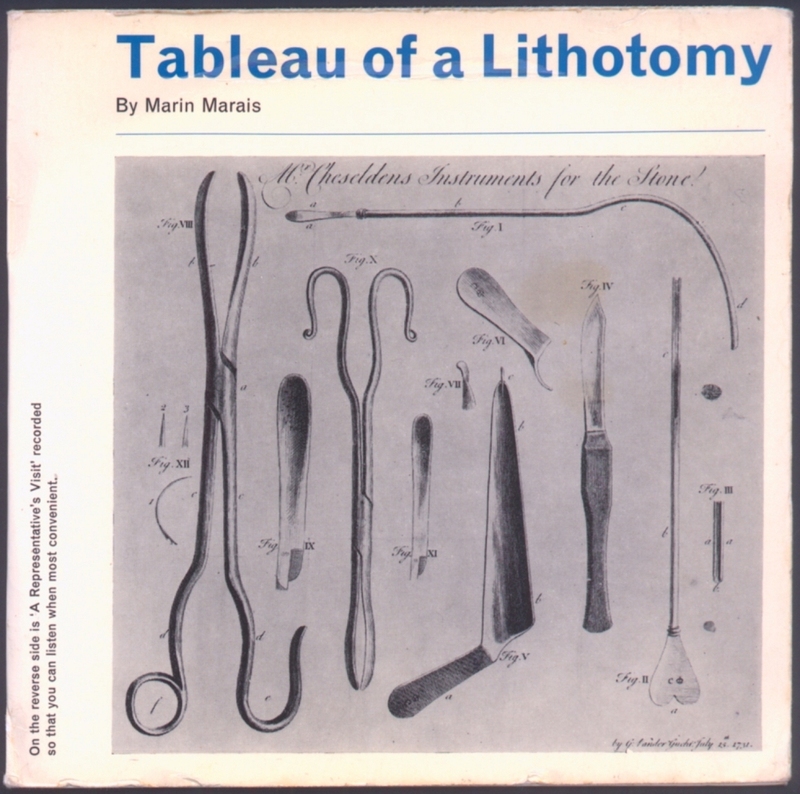 It was issued by Norgine, and below is a picture of the cover. The viol da gamba was played by Carel Boomkamp, who was one of Anner Bijlma's teachers, and accompanied by the French harpsichordist, Denyse Gouarne. No comments about how musical preferences can be set so early in childhood, please! If anyone can tell me how to make a download of quicktime streaming audio, I'd greatly appreciate it. Do you want to download the file from that site? That's the only place I ever saw the recording listed, so yes!